HI! I'M MR MEESEEKS! LOOK AT ME! 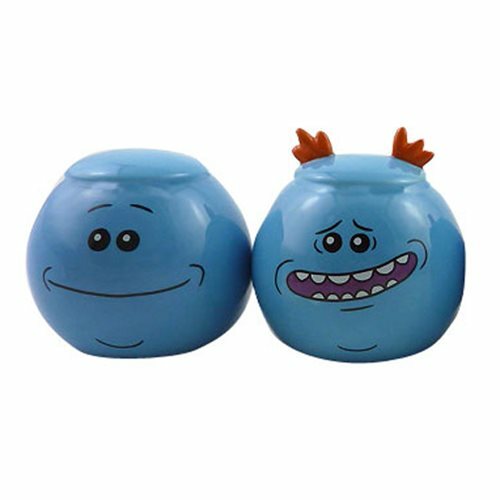 ALSO, BUY THE Rick and Morty Mr. Meeseeks Salt and Pepper Shaker Set, BECAUSE EXISTENCE IS PAIN TO A MEESEEKS, AND I'LL DO ANYTHING TO ALLEVIATE THAT PAIN! Ages 13 and up.